Two very interesting developments today in the land of preprints for all biologists. First, anyone can now publish unlimited free preprints at PeerJ. At the same time, Cold Spring Harbor Laboratory’s new bioRxiv has finally gone live. It seeks to mimic the ever popular arXiv, but for biology. Definitely turning a corner here in terms of making preprints for EEB (and biology in general) ubiquitous and easy! The folk over at PeerJ have an offer for field biologists this month. Do you have “ecology”, “ecosystem science”, “marine biology”, “plant sciences” or “zoology” as a subject area for your work? Great – it’s free for this month only. Interesting promotion, and great to see them reaching out to the EEMB community! Just saw The potential of preprints to accelerate scholarly communication – A bibliometric analysis based on selected journals by Valerie Aman over at arXiv. 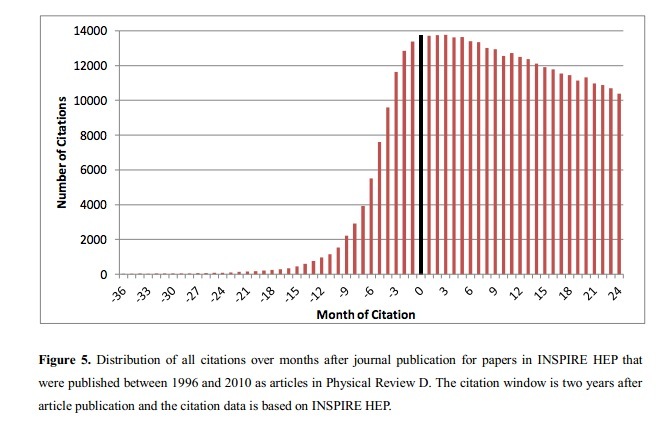 Very interesting piece, particularly the extensive analyses showing that many papers in preprint have a huge impact often up to a year before they’re “published”. Very cool, and worth checking out. It appears that the folks from Coldspring Harbor are planning on starting an arXiv for biology. They now have the URL http://biorxiv.org/ up and running as a signup. Curious to see where this will go! So, we got together, had two working group meetings to discuss the future of scholarly publishing in Ecology, Evolutionary Biology, and the Earth and Ocean Sciences. What were were thinking that entire time? We’ve just submitted a piece that brings together our broad ideas (some of which have been seen before), but, simultaneous to publication, we’ve also decided to put up a preprint. Why? Simply put, immediate access is one of our four pillars of the future of scholarly publication. Once you feel something is ready for public consumption, put it out there! 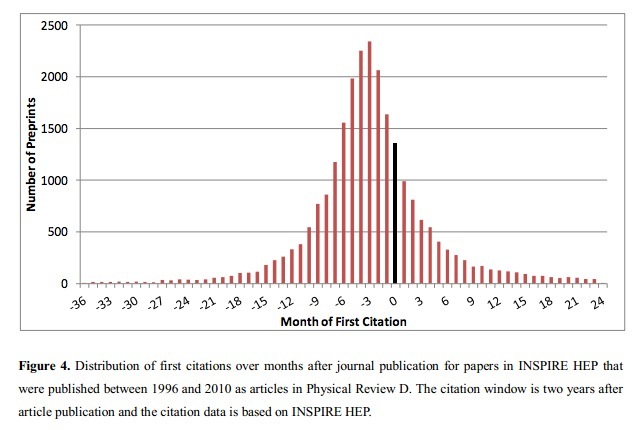 We’ve been delighted to watch the evolution of PeerJ Preprints, so we’ve placed our piece there. This immediate access to the piece goes hand in hand with another of our four pillars. Open Review. We want to know what you think. And now. We hope you give us feedback over at the preprint. Or, if you want to give us more detailed annotated comment, we’ve put it in a comment-open Google doc. Highlight something you disagree with. Argue with us. We welcome it! We’d ask that you put your name with the comment. We want a discussion, as discussion will improve this manuscript and help us shape our argument rather than just one-way commenting. This will also allow *you* to get full recognition for your comments, and we will include this in future acknowledgements. So, enjoy the piece – our commentary is not a straight experiment-analysis-discussion piece, but rather part of a broader ecosystem of scholarly products that we feel are important to get out there. We look forward to hearing what you think of the piece! Great news for rapid dissemination of new work – PeerJ has launched their preprint server. Read more about it in their blog post. I don’t see any up yet, but I’ll be curious to see how it works once a few get posted!